Thread: Resin Ivory: Schregar Lines. 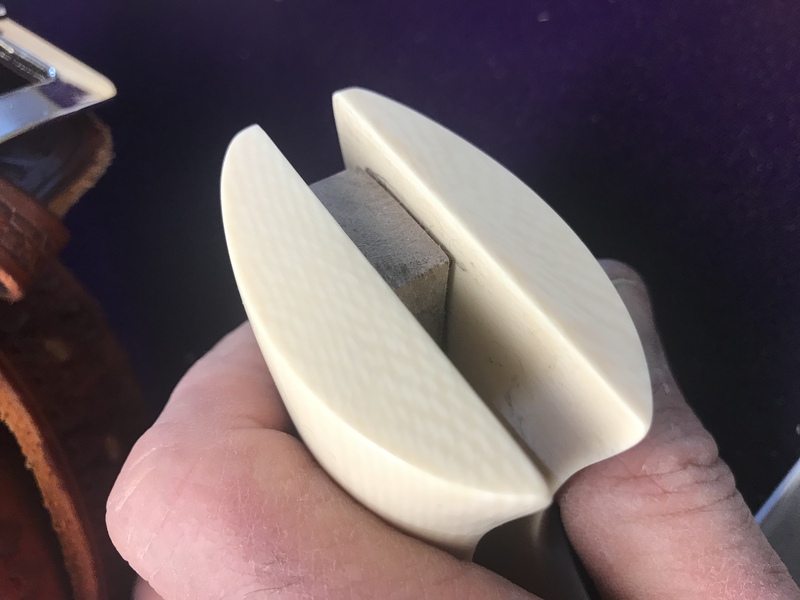 This is a bottom side of the Resin Ivory GuitarParts and More sells. To me it’s a tad soft but looks really great. 73shovel, what would you say, jringo8769 and 7 others like this. I’m beginning to understand how diamond investors felt when cubic zirconium showed up! dandak, Jackson, saintclair and 1 others like this. So what's the test to show they're not real ivory? Much to my chagrin I have a supernatural sense of smell. Put the grips in question in a plastic sandwich bag and let it sit in the sun for a minute. It’ll smell like tooth. This Resin has a hint of automotive body filler smell. Ivory is harder and shows a fracture line somewhere, regardless how perfect. saintclair and SHOOTER13 like this. I love the way this material works out once I've cut, sanded, and polished it to fit my Single actions. LeverActionBill and SHOOTER13 like this. I used a couple of Harbor Freight sanders, one is a disc sander and the other is a 1" belt sander. After sanding the pieces to the general shape I took wet-dry sanding sheets to the kitchen sink to make the final smooth sanding under running water. Once I got the that done I went back to my shop and used my bench grinder with cotton buffing wheel and a stick of white polishing rouge. 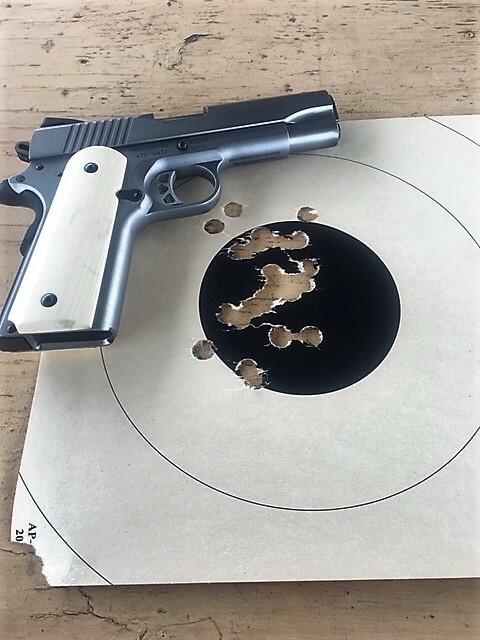 Would love to see a pair of these resin grips on a 1911. The grain looks really nice ... better than the bone handles I’ve seen which nearly always have pith on the back/bottom. Not the best picture around but it kind of meets the requirements. If it smells like "burnt hair"...which is what ivory really is...it's REAL Ivory.